Where else would you get gentle exercise and grotesque torture all in one package? Only with Amnesty’s guided ‘sites of torture’ walking tour through east London and the City with an expert narrator to shine a light on some of the darker scenes from the capital’s history. The walk on Sunday (28 June) from 11.30 – 1.30 is in recognition of the International Day in Support of Victims of Torture. Amnesty UK’s LGBTI network have organised a float in the Pride in London Parade and invited London activists to join them. They are asking people to meet them from 11.30am till 12 midday on Saturday (27 June) at Marble Arch’s North Exit. There will be people with t-shirts and placards easily visible. There is also a stall you can visit in Trafalgar Square area from 12-8. 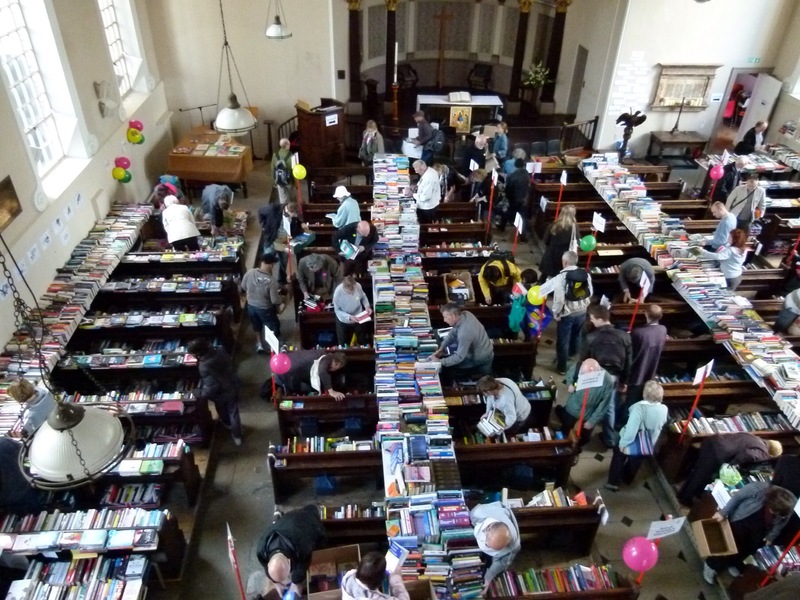 Next book sale is Saturday 21 November 10-4. See you there! 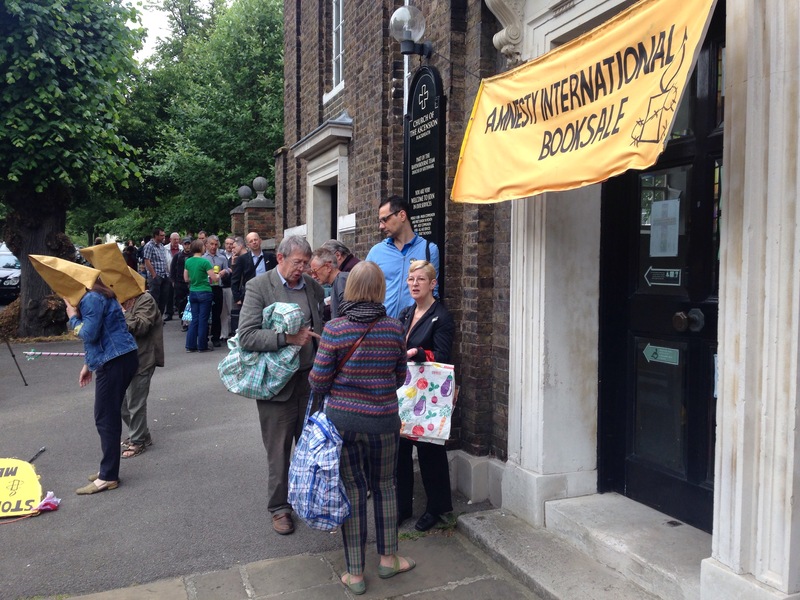 For our Twitter supporters we are having a tweet up at the #AmnestyBookSale from 11-12 at Church of the Ascension, Dartmouth Row. We look forward to seeing people from #GreenwichHour and others join us for tea and cakes in the book sale cafe. Our chair who runs our social media accounts will be hosting this. A big thanks to all the websites that are currently listing our book sale. The list below is meant to be include them all but if you’ve spotted others please email us on aibgsocialmedia@gmail.com and we’ll add them.